Although the competition in the Bitcoin gambling scene is getting tougher each year, not many operators try to fight it by continuously evolving and offering new products to their players. BitStarz and Bitcasino are definitely an exception from this trend, as both operators never cease to improve their already popular offers, as you can find out by checking out their novelties below. 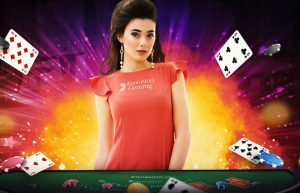 To give its players a more exclusive live dealer experience, the ever-changing Bitcasino Bitcoin casino recently added its own branded live Blackjack table. The table was provided by Evolution Gaming – so you know that you can expect professional dealers hosting the game – and has a betting range of 1 to 500 mBTC. The game’s format and rules are quite standard for a live Blackjack game. Namely, you will be playing Blackjack with 8 decks and with up to 6 other players at the table while the dealer will stand on any soft 17s and hit on 16s or less. If the dealer has an Ace for the up-card, s/he will peek for Blackjack and offer insurance at the table. You are also allowed to split aces at the game, although you aren’t allowed to hit them after a split. Another new edition at Bitcasino is NetEnt’s new Fruit Spin slot game, which puts a colorful mix of traditional slot visuals into a more modern and mobile-friendly format. With a 5-reel 20 payline layout, gorgeous-looking fruit symbols, and a whole package of bonuses like stacked wilds, free spins, and free coin giveaways, the Fruit Spin is more than just a traditional slot game with a new makeover. So, whether you’re a Bitcoin slot player or are only interested in getting some live Blackjack action on a table reserved just for locals, Bitcasino has got your back. To learn more about either new product, make sure to give Bitcasino a visit. In a new blog update this Thursday, BitStarz Casino announced the introduction of two new altcoins to its platform. After adopting Litecoin and Bitcoin Cash at the end of January, the popular BitStarz casino is now moving on to implementing Dogecoin and Ethereum deposits as planned. As the blog update reads, the casino is introducing these “fast-rising altcoins” due to the benefits of speed and more affordable transactions they can provide to the casino’s players. Ethereum, for instance, has not only been one of the fastest rising coins in 2017, amassing an over 9,000% increase in the course of the year, but it is also a coin that can provide faster and cheaper transactions than Bitcoin can. Dogecoin, on the other hand, has been the subject of plenty of jokes in the crypto-community but it nevertheless proved to be just as perseverant as most top 10 cryptocurrencies. It is currently in strong demand and has many loyal supporters holding it, which is why the casino chose it over other alternative coins. If you likewise have stashed some of these fun Dogecoins or have invested in Ethereum during last year, you can visit BitStarz Casino to put them to good use.